The government would always remain open for any further improvements which strengthen Aadhar, he said. New Delhi: Union Finance Minister Arun Jaitley today said the government will remain open to any suggestions for improving the privacy framework surrounding Aadhaar. Jaitley further said that the issue of 'right to privacy' was "hopefully" settled by the Supreme Court judgement. 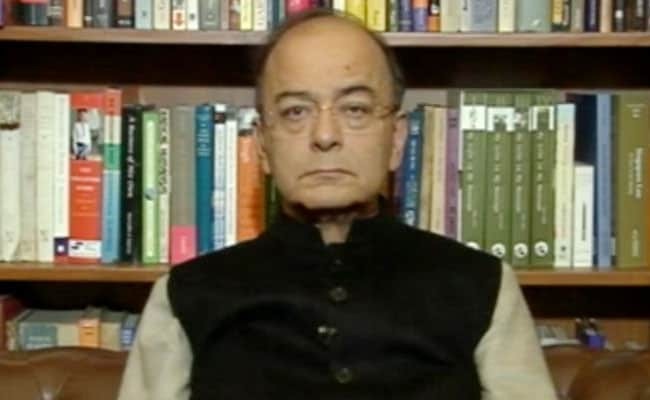 Speaking at a book launch event, the finance minister said, "I think if tomorrow you have a situation where either the court or somebody in public domain or Parliament suggests ways and means of strengthening that privacy as technologies evolve for further securing them..., this is something which is not adversarial at all." "And therefore no government of the day should ever look at it from an adversarial point of view," Jaitley said. The minister said that Aadhaar was an evolving idea and he is "quite certain" that the last word on Aadhaar hasn't been said as yet. "Obviously you will have to make the adequate firewalls, but at the same time the larger public interest will always have to prevail over the individual's personal interest," Jaitley said. He added: "I am not going to say that what was done by this government was a step better than what was floated by the previous government." Jaitley pointed out that curb on linkages through Aadhaar has led to huge savings for the government. On savings through Aadhaar, he said, "There are estimations and its expanding, it'll continue to expand."